Boys & Girls Clubs of Central Minnesota celebrated our 2019 Youth of the Year event on Saturday, February 2, 2019, at the Eastside Boys & Girls Club. Roosevelt Youth of the Year Janeel Denson-Lehman and Eastside Youth of the Year Carter Shimabukuro-King each shared their story of how the Club has impacted their lives. Janeel became a member of the Roosevelt Club about 6 years ago, shortly after her adoptive family moved her to St. Cloud. When Janeel arrived in St. Cloud, she was very behind in school. But her adoptive family and her Boys & Girls Club family were committed to helping her succeed academically. They spent time with her every day to get her on track. Janeel said she would like to thank the staff for giving her the support she needs, and reports that she’s getting all A’s her senior year of high school. Janeel also gives back to her Boys & Girls Club and community. She has volunteered more than 500 hours as a Junior Staff at the Club, and she has received an award from the Optimist Club for her dedication and service to the community. She’s very active at the Club and participates in Girls Groups, Healthy Habits and Keystone Club. After high school, Janeel hopes to go into child development and one day open a daycare to serve children, as the Boys & Girls Club has served her. Carter Shimabukuro-King has been a member of the Eastside Boys & Girls Club for 10 years. He says that Club staff have been there for him and his family consistently over the years, especially when they were struggling. The Club has also given him some great opportunities to express himself through the arts, including LARPing (Live Action Role Playing). Carter has been an active member of the Club throughout the years and has participated in Torch Club, providing service to his Club and community. He has also graduated from the Junior Staff Career Development program and is a junior staff at the Club. Carter is an incredibly hard worker and loves to help whenever he can. He also has a great sense of humor and enjoys making people laugh. He is also involved in wrestling, football, boxing, track & field & martial arts at school. Upon graduation from Apollo High School in May 2019, Carter hopes to become a physical trainer or go into the sports medical field. A panel of three judges, including: Shannon Avenson, Dist. 742 Student Services; Karl Nohner, Sauk Rapids-Rice High School principal; and, Kelly Skalicky, President, Stearns Bank; interviewed each of the youth after reviewing their packets. Janeel Denson-Lehman was named Boys & Girls Clubs of Central Minnesota’s 2019 Youth of the Year. She will go on to compete at the state level in the Twin Cities on March 19, 2019. Janeel will also receive a $2,000 scholarship from the Windfeldt Family Scholarship Fund. As a finalist, Carter receives a $1,000 scholarship from the Windfeldt Family Scholarship Fund. The Boys & Girls Clubs of America’s National Youth of the Year embodies the organization’s three priority outcome areas of leadership, character and service; academic excellence; and healthy lifestyles. The Youth of the Year is selected based on the following criteria: academic achievement; communication and relationship skills; leadership and teamwork; character, honesty and integrity. Local Clubs recognize Youths of the Month and select a Youth of the Year, who then participates in the state competition. The state Youth of the Year will receive a $10,000 Home Team scholarship from the professional sports organizations in the state of Minnesota. State winners participate in regional competition. Five regional winners receive a $5,000 scholarship and compete on the national level. The National Youth of the Year receives an additional $10,000 scholarship and is installed by the President of the United States. 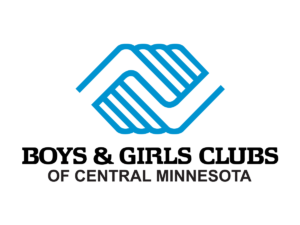 For more information on the important programs the Boys & Girls Clubs of Central Minnesota provides, please visit our website: www.bgcmn.org.